Known as one of the ‘noble metals’, Palladium is one of the rarest metals in the world. Part of the platinum-group metals or PGMs, Palladium is one of six metallic elements in this family. 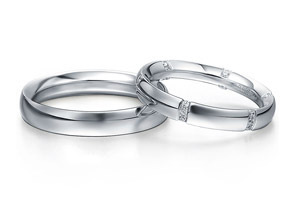 Why Choose A Palladium Wedding Ring? Lighter in weight than its sister element, Platinum, Palladium has the superior ability to withstand corrosion and oxidisation. Resistant to wear, a Palladium wedding ring will maintain its lustre for years to come. Similar to Silver in colour, Palladium is a naturally white metal that does not tarnish. Remaining white forever, a wedding ring made from this noble metal will remain a beautiful symbol of your eternal love. 95% pure when used in jewellery, Palladium is the ideal choice for those who suffer from allergies as it is also hypoallergenic. Wedding rings made from Palladium are extremely durable and tarnish resistant. Used in an almost pure form, Palladium does not require alloy metals and/or plating to protect against wear. As a result of this, your wedding ring will remain white for as long as you own your ring. 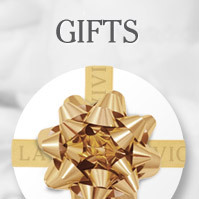 Here at La Vivion we offer a number of Palladium wedding rings for your big day. 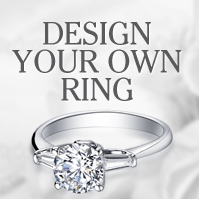 Choose from our selection or using our bespoke ring tool, design your own Palladium wedding ring. 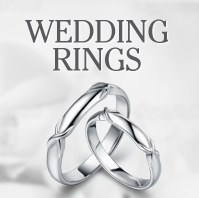 We can help you to find the perfect Palladium ring for your partner, making your wedding day extra special.